By @SimonCocking. Interesting interview with Val Cummins IMERC Cluster. The Entrepreneur Ship. Innovation networks. Blue growth. Co-chair Future Earth Coast. Eisenhower Fellow. Cotters. I grew up in Blackrock in Cork. I fell in love with the sea, like so many others, as a trainee on board Asgard II. That inspired me to do a BSC in Marine Geography in Cardiff University, a great degree course that is still producing Marine Geography graduates to this day. 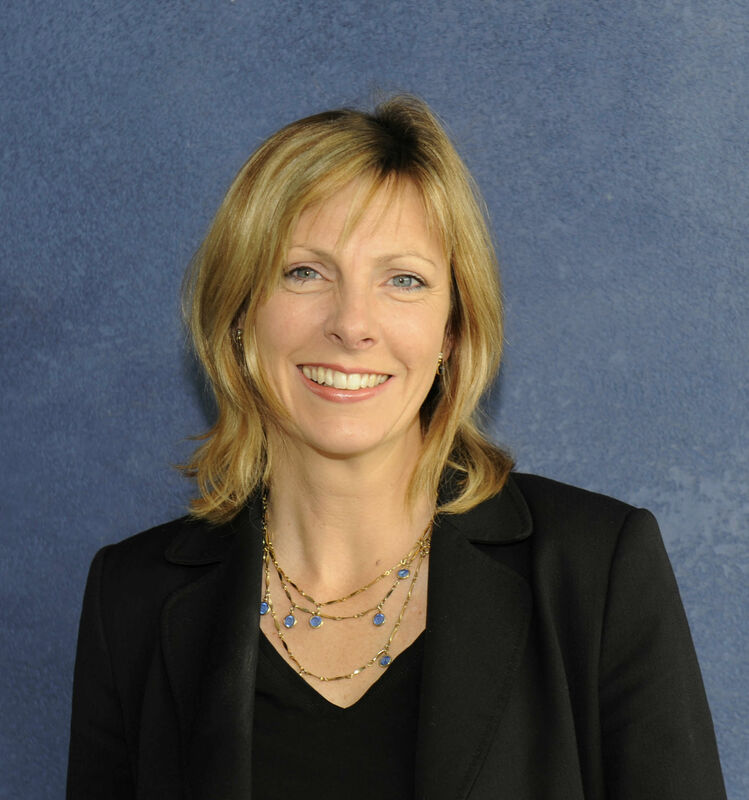 I stayed true to my original discipline in the early stage of my career, getting work experience in the British Oceanographic Data Centre and in the Exeter based environmental consultancy Landmark Information Group. On return to Ireland, I got a job as a research assistant in UCC looking at the distribution and abundance of the humble edible periwinkle Littorina littorea, and pursued a masters in Zoology. I was attached to UCC’s Coastal and Marine Resources Centre. I was fortunate to become the manager of the Centre at a young age. I went on to grow the Centre to circa 40 post graduate and post doc researchers as the Centre Director over an eight year period. This included moving the research group off campus to the Naval Base in Haulbowline, which sowed the seeds for later collaboration in the form of IMERC. Where is the IMERC cluster? 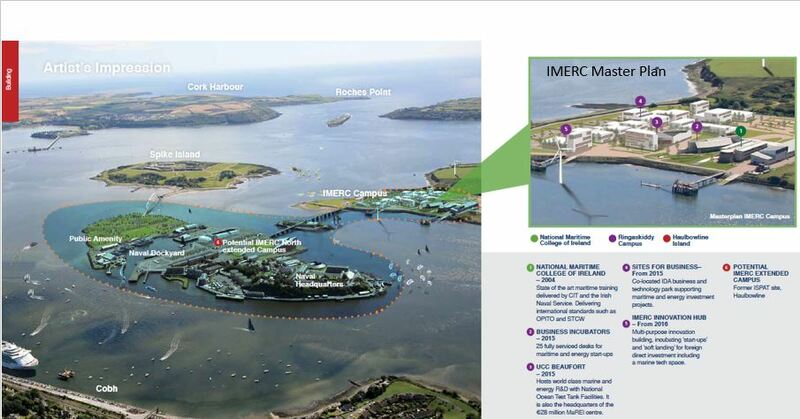 The IMERC Cluster is located in Lower Cork Harbour between Ringaskiddy and Haulbowline. It is ideally located on the doorstep to the second largest natural harbour in the world after Sydney and in Ireland’s natural maritime capital. 1 min pitch, what is it’s goal / aim? IMERC aims to establish a global maritime and energy innovation hub. The opportunity for Ireland is unique because of our vast maritime jurisdiction, which is ten times the extent of our land mass, with resources that we haven’t yet begun to imagine or exploit. It involves technological innovation in emerging areas such as marine renewables, marine biodiscovery and offshore aquaculture, dealing with big data, autonomous vehicles, marine robotics and sensors. Ireland is waking up to this opportunity and it’s an exciting time to be promoting the development of Ireland’s ‘blue economy’. We want to facilitate upwards of 3,000 new jobs through our partners. We will do this by promoting the capabilities of our stakeholders in Cork Institute of Technology, the Irish Naval Service and University College Cork. These capabilities include the world class MaREI Centre supporting industry led research in the fields of marine and renewable energy, as well as unique research infrastructure such as the LIR ocean energy test tank facilities in the Beaufort Building. The cluster is a hotbed of talent, with 30,000 under graduates between UCC and CIT, and more specifically with master mariners and engineers being trained in the National Maritime College of Ireland in Ringaskiddy. The Navy is a Unique Selling Point. The White Paper on Defence published in 2015 recognises innovation as a force multiplier for the Defence Forces. The Navy demonstrates this in practice by collaborating with research and enterprise. All of this expertise in one location provides a degree of critical mass, that will scale and grow as more buildings come on stream as part of the IMERC Master Plan. This will have a transformative effect, providing an engine for innovation in Lower Cork Harbour. However, future buildings are only a means to an end. It is the entrepreneurs, technicians, scientists, engineers, investors and business leaders that will fill them that will count. What interesting companies do you have based there? The companies incubating in The Entrepreneur Ship in the Cluster include High Potential Start-Ups such as Dare Technology (wind energy for commercial ships); Exceedence (financial modelling software for renewables); and the National Space Centre (satellite receiving station and ocean observation capability). Over €1.2m has been raised in private equity since December 2015, by top class start-ups, including UAV Evolution (marinised drones) and Solo Energy (Energy storage and distribution of renewables on to the grid). MUX brings design thinking to traditional marine applications, while the Venture Cup has franchised the Formula 1 of speed boat racing as it travels around the globe over the coming years. The Sea Fisheries Protection Authority has also taken a desk to collaborate on projects where surveillance technology can lead to more effective regulation. We are open for business for new virtual members who can avail of hotdesks such as Ocean Observers Net, Ocean Survivor, Resolute Marine, Sound and Sea Technology, and Sea-Fi (which has recently won a major contract in relation to its wireless communications service in France). Beyond The Entrepreneur Ship, companies interact with partners in the Cluster in a variety of other ways. There are over 40 companies collaborating in R&D projects in MaREI, and companies such as Safehaven Marine have recently explored the opportunity to test the detection of its stealth Barracuda Rib with the Naval Service. We are starting to work more and more closely with the IDA as we ready ourselves to attract more Foreign Direct Investment, to add to existing clients such as Black and Veatch, increasingly successful in develop a hub for marine renewables through Ireland in IMERC. What is the entrepreneur ship? This is the latest addition to the infrastructure in the IMERC Cluster. We formally launched what is considered to be the world first maritime and energy incubator in October 2015. Called ‘The Entrepreneur Ship’ this is an initial effort to provide 22 desks for start-up companies, as well as some touch down space for Foreign Direct Investment that can leverage the research, testbed infrastructure and talent available across the Cluster. Essentially The Entrepreneur Ship is an incubator where start-ups and FDI companies can touch down to rent office space for a maximum of three years. However, this makes it sound static and unexciting. What is increasingly cool about The Entrepreneur Ship (other than its name), it the community that is developing. Companies are supporting each other, deriving benefits from the ecosystem in which they are nested, and getting access to a fantastic mentor panel populated with gurus in the field of maritime, energy and business, such as Patrick Joy founder of Suretank, John Mullins from Ameranco, and Vice Admiral Mark Mellett from the Defence Forces. Our vision is to increase the desk space via a strong pipeline of founders with ideas for scalable businesses based on technological innovation, both at home and overseas. We are working to enhance the programme of support available to the start-ups in areas such as sales and marketing, patent harvesting etc. What is bluegrowth? How is it going / what positive possible outcomes can you see? Blue Growth is about realising economic opportunities from the sea in a way that fits within ecological limits. Drivers of Blue Growth are technological developments (ability to work in increasingly harsh ocean environments); finite resources (food and energy scarcity driving exploration in our oceanic frontiers); and dealing with Greenhouse Gas emissions (focusing on energy efficiency in shipping and transport, and focus on marine renewables). The European Commission, who coined the term ‘Blue Growth’ aim to increase the number of jobs in Europe’s maritime economy from 5.4 to 7 million by 2020 through a blend of initiatives support the traditional sectors in the blue economy (shipbuilding, fisheries, transport, oil and gas), with the emerging maritime sectors. Ireland’s opportunity with respect to Blue Growth is to meet the targets set by our Harnessing Our Ocean Wealth Strategy, which aims to double GDP from our maritime sector by 2030. We have a hotspots of impact and innovation around the coast, including Killybegs in Donegal, SmartBay in Galway, and IMERC in Cork. In each of these regions stakeholders are increasingly working together to deliver targets under the Action Plan for Jobs. The third report on Ireland’s ocean economy, compiled by NUI Galway’s Socio-Economic Marine Research Unit (SEMRU) and Teagasc, estimates that the sector contributed an estimated €1.4bn to GDP last year. Ireland’s ‘Blue Economy’ is performing on average better than the general economy with up to 9% growth over the last five years. With an estimated turnover of €4.5bn, the sector employs approximately 18,500 Full-Time Equivalents and new data from shows that in addition to the direct impacts of Ireland’s ocean economy, a further 13,000 are employed across the wider economy providing an additional €3.3bn in turnover. The coast is a place we deeply value in Ireland for recreation and for general well-being. Coastal zones of the world are also notably the most productive systems on Earth and are a focus of human settlement and wealth creation. Coastal environments are unique as the interface between atmosphere, land and ocean, and coastal ecosystems are extremely vulnerable to human impacts including sea level rise. As a result, coastal zones provide a rich vein for understanding system complexity and transitions to more sustainable future. We cannot talk about Blue Growth without a better understanding of the underlying natural assets that sustains economic development. Future Earth Coast can best be described as a global coastal knowledge platform that engages a network of coastal scholars and practitioners around the world interested in charting a new pathway for sustainability in the coastal zone. It is not a warming scenario per se but Future Earth Coast is focused on developing scenarios that will take stock of climate, energy, population, economics, ecosystem goods and services for hotspots of global coastal vulnerability. These are places like the Arctic, small island developing States, deltas and estuaries, and urban areas at the coast. I have been an advocate for coastal zone management throughout my career and am honoured to act as co-chair of the Future Earth Coast Scientific Steering Committee for the next three years. We have a huge amount to contribute to this agenda from Ireland, as well as an opportunity to learn how others are dealing with the complexity of the sustainable development of our coastal and marine resources. I also think we have a unique opportunity with Ireland as a testbed for new ideas. Eisenhower fellow sounds impressive, what did / do you do / research? The Eisenhower Fellowship Programme, based in the U.S., seeks to identify and support emerging, mid-career professionals from around the world. The Programme is a legacy to Dwight Eisenhower, and it is indeed impressive. The board is chaired by Colin Powell, and the organisation is extremely effective at opening doors at the highest levels. I was selected by the Eisenhower Fellowship network in Ireland, following a competitive process, to participate on the Multi Nations Programme in 2012. Myself and Dearbhail McDonald from the Independent both travelled to the U.S for 2 months. We were part of a group of 30 peers from around the globe, including lawyers, planners, journalists, and entrepreneurs. I was the only marine person they had ever had on the programme. I spent the 2 months availing of a customised itinerary with over 60 meetings in 11 States, including meetings with Senators on Capitol Hill, with executives in boardrooms in Houston, and with scientists innovating in wave energy in Oregon. While I studied emerging trends in the marine sectors in the U.S, the thing I learned most about was about leadership. It was an amazing experience that will stick with me for the rest of my life. How much grounds should we have for optimism in terms of mans ability to develop sustainable future technologies? I think we have great grounds for optimism in terms of mans ability to develop sustainable future technologies. We cant even begin to imagine what disruptive innovation lies around the corner, including technology for capturing carbon, for storing energy, and for taking plastics our of our oceans. The engineering is often the easy part. The challenge as I see it, is with the role out of technology in a timely and fair fashion. Therefore it is the human dimension that we need to grapple with. It is about dealing with complexity through innovation, that goes beyond technology and to embrace our system of governance, meaning the interplay between government, industry and civil society in the way that decisions are made. Is Cotters the bar on Cape Clear or something else? Great question and well spotted!! Cotters are my three little girls, and of course my husband, Ken Cotter. There is a West Cork and a public house dimension to the answer though! We met in the Jolly Roger on Sherkin Island 23 years ago, when I was working in Mat Murphy’s Marine Station, a stone throw from Cape Clear.